Spray cleaner and wiping cloth. Includes: Beginner book with DVD, Electronic Tuner, 6 picks and a guitar strap. We require your driver's license and credit/debit card information in order to qualify for our rent to own program. Would you like to submit a picture or scan of your driver's license online or in store? Would you like the item to be shipped to you? If so we can provide you an estimate for a one-time shipping fee after this form has been submitted. The unpaid balance shall be payable in monthly installments. You may cancel this agreement at any time by returning the instrument and any accessories, provided that the account is current and the instrument is returned in the same condition as received. There will be no refund of monies paid. All monies paid will convert to rent for the use of the instrument. The Borrower promises to pay a late charge of $29.00 for each installment that remains unpaid more than 5 days after its Due Date. This late charge shall be paid as liquidated damages in lieu of actual damages, and not as penalty. Payment of such late charge shall, under no circumstances, be construed to cure any default arising from or relating to such late payment. The Lender is not required to rely on the security instrument and the assets secured therein for the payment of this Note in the case of default, but may proceed directly against the Borrower. The Borrower reserves the right to prepay this Note (in whole or in part) prior to the final Due Date with no prepayment penalty. If any payment obligation under this Note is not paid when due, the Borrower promises to pay all costs of collection, including reasonable attorney fees, whether or not a lawsuit is commenced as part of the collection process. If any of the following events of default occur, this Note and any other obligations of the Borrower to the Lender, shall become due immediately, without demand or notice. any misrepresentation by the Borrower for the purpose of obtaining or extending credit. In addition, the Borrower shall be in default if there is a sale, transfer, assignment, or any other disposition of any assets pledged as security for the payment of this Note, or if there is a default in any security agreement which secures this Note. If any one or more of the provisions of this Note are determined to be unenforceable, in whole or in part, for any reason, the remaining provisions shall remain fully operative. All Payments of principal and interest on this Note shall be paid in the legal currency of the United States. The Borrower waives presentment for payment, protest, and notice of protest and demand of this Note. No delay in enforcing any right of the Lender under this Note, or assignment by Lender of this Note, or failure to accelerate the debt evidenced hereby by reason of default in the payment of a monthly installment or the acceptance of a past­due installment shall be construed as a waiver of the right of Lender to thereafter insist upon strict compliance with the terms of this Note without notice being given to Borrower. All rights of the Lender under this Note are cumulative and may be exercised concurrently or consecutively at the Lender's option. This Note shall be construed in accordance with the laws of the State of Oklahoma. I agree to the terms of repayment listed above. Please write your name in this field as your signature for this agreement. 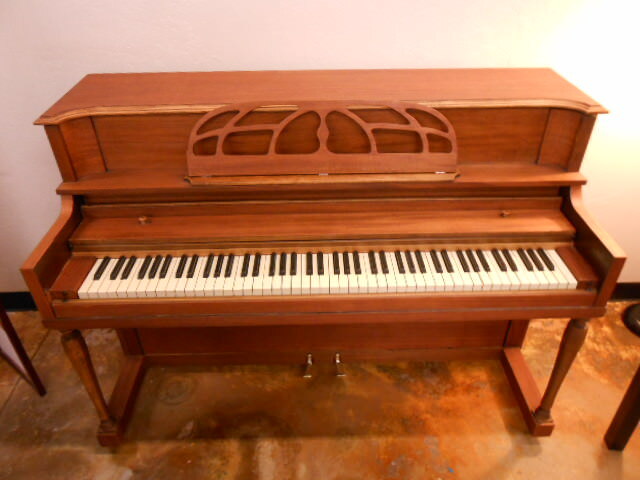 To rent a grand or upright piano outside of the Oklahoma City metro area please call 405-285-8324 to be approved before completing this form.